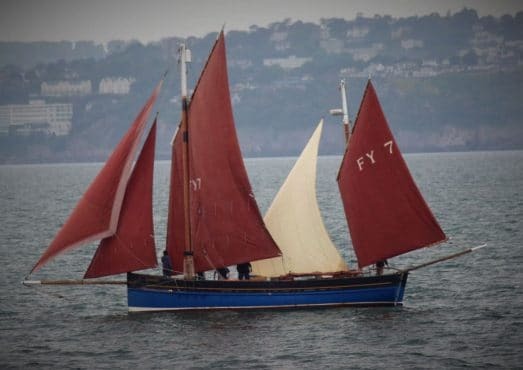 Setting sail from Dartmouth, Our Daddy will set sail for Falmouth Classics and Sea Shanty Festival. 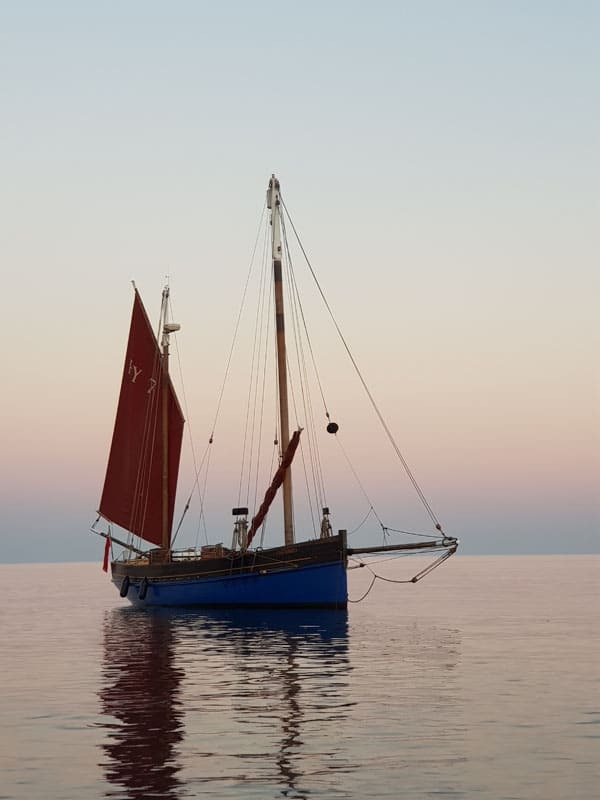 Join this classic lugger for a week of sailing, sea faring atmosphere and shanty singing! 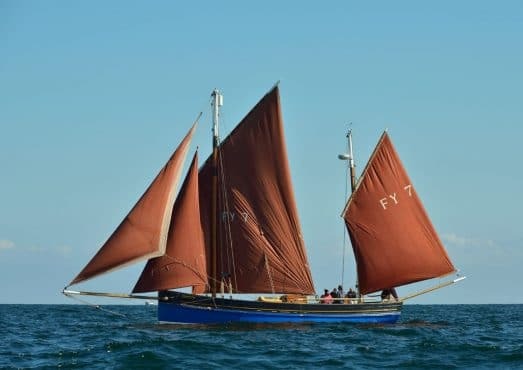 Set sail aboard Our Daddy from Dartmouth, making your way down the beautiful South Coast to reach Falmouth, Cornwall for its classic sailing and shanty weekend. The voyage will take you west along the English coast, passing Blackpool and Slapton Sands before reaching Salcombe and Plymouth. 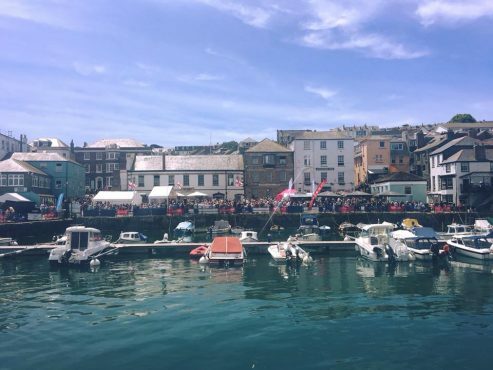 You might stop at any of these harbour towns, with time to go ashore and explore. 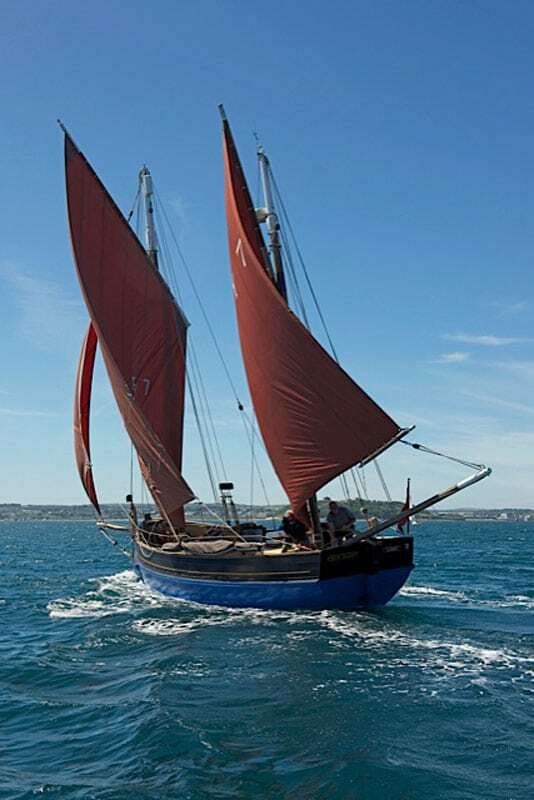 Passing Plymouth, Our Daddy will begin her journey down the Cornish coast – (watch out for Poldark being filmed in the pretty fishing town of Charlestown!). 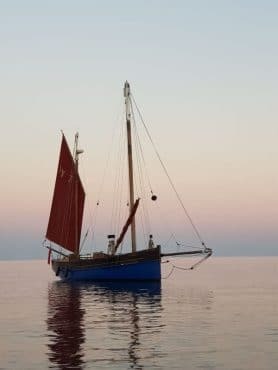 As Our Daddy sails past Mevagissey, she will be sailing around the Roseland Peninsula with its hidden coves and sheltered beaches. 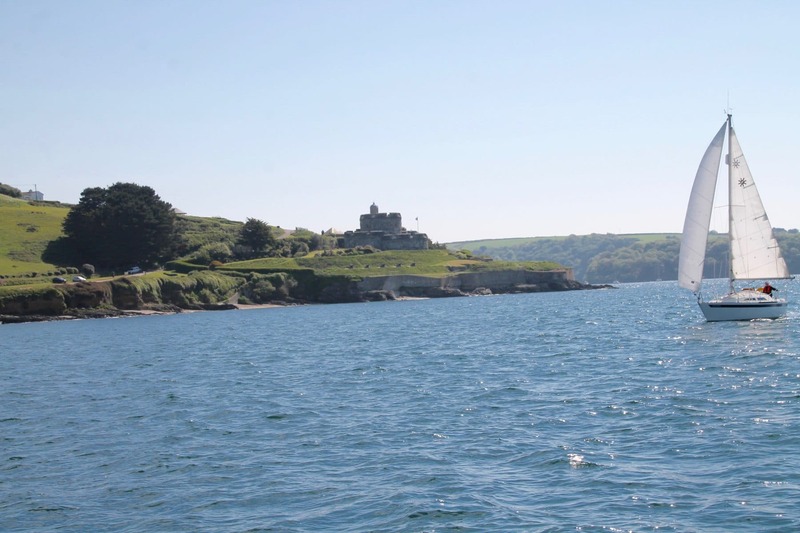 Be sure to keep the binoculars close; with porpoises and dolphins often playing in the ships’ wake, keep your eyes on the water as well as the land for the native seabirds – guillemots, kittiwakes, kestrels and gulls. Falmouth Classics began in the early 1980s and has since become one of Falmouth’s most popular weekends. 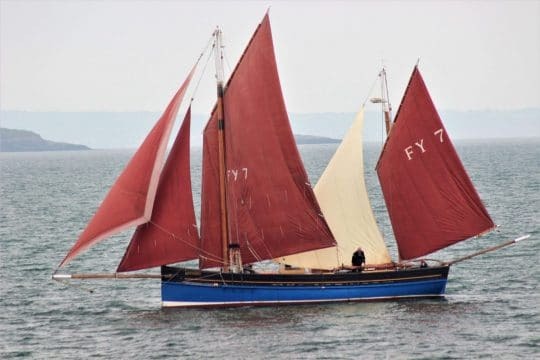 Attracting people from all over the world, traditional and classic ships arrive to race in the mouth of the River Fal, Carrick Roads and the beautiful Falmouth Bay. From classic yachts to traditional luggers – the harbour is filled with beautiful boats, exhilarating races and a fascinating parade of sail. 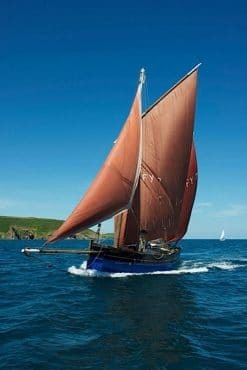 See Falmouth Classics for its sailing programme. The excitement is undeniably best seen from the water, however, the atmosphere in the town is not to be missed either. With pop-up maritime stalls, traditional Cornish pubs and cobbled streets; Falmouth will be a great place to soak up the passion for sailing that is so prevalent in the town. 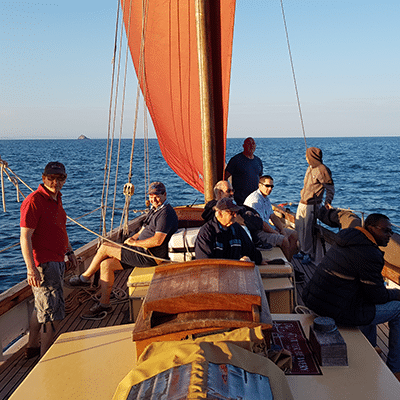 The itinerary can be flexible to accommodate your wants – whether that be watching the races, exploring the area or discovering hidden coves, the choice will be yours with Our Daddy as your base. 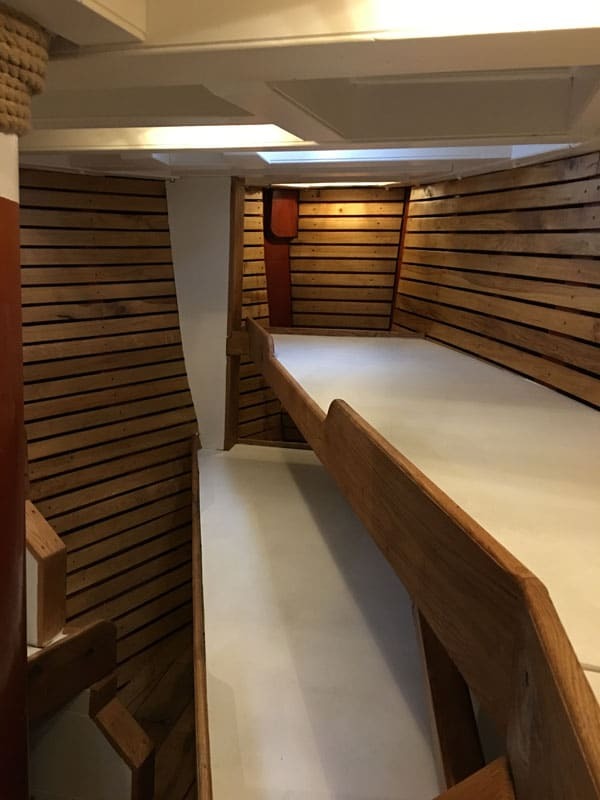 Our Daddy caters for all abilities and ages and is the perfect boat to learn the ropes or simply sit back and enjoy the view.